Thyritronics - The Leader in Repair of Trip Units and Programmers for Circuit Breakers. Thyritronics - The Leader in Repair of Trip Units and Programmers for Circuit Breakers. 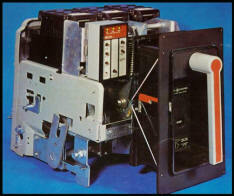 Thyritronics is a high-tech electronics company specializing in circuit breaker trip units and programmer repairs. We have been providing quality, timely repairs and calibration to the electrical power industry for over 35 years. Industry leader in trip unit repair. We support all major manufacturers units. Customize and function upgrade services. Visit Thyritronics often for industry updates and new services.